Thinking ahead: Checking in with 16-year-olds who had autism traits at age 8 could reveal how prepared they are for adulthood. The CDC-funded Autism and Developmental Disabilities Monitoring (ADDM) Network has tracked the prevalence of autism among 8-year-old children in the United States since 2000. Every two years, researchers in 11 states comb through children’s medical and school records that list any autism traits. Researchers at six of those sites also review records for 4-year-olds. The CDC announced in August that it has set aside $20.4 million for its next funding round to support up to 10 sites that would collect data from 4- and 8-year-olds. Researchers may apply to continue their work at the existing sites or propose new ones. For the first time, the network will also monitor adolescents: The agency plans to fund up to two sites to review the records of 16-year-olds who were flagged for autism traits at age 8, looking at behavioral traits, cognitive test scores and educational services received. The follow-up should provide a glimpse of how these individuals have developed since they were flagged as children, says Matthew Maenner, who leads autism surveillance efforts at the CDC. “We are intensely interested in finding out how they’re doing,” he says. The effort could help fuel research into how autism manifests in adolescence, experts say. “Even though this is the very basic work that you can do — [count] kids who have autism at different age ranges and then [follow] them — that’s essential if we’re going to do anything else on top of that,” says Kevin Pelphrey, director of the Autism and Neurodevelopmental Disorders Institute at George Washington University in Washington, D.C. Most autism research focuses on children, and there is an increasing focus on adults with autism. But work on adolescents is sparse, says Catherine Lord, distinguished professor in residence of psychology and education at the University of California, Los Angeles. “The reality is we don’t know much about what the services are that teenagers and young adults are getting,” she says. For example, it’s unclear whether autistic adolescents get the assistance they need to prepare for adulthood. The U.S. 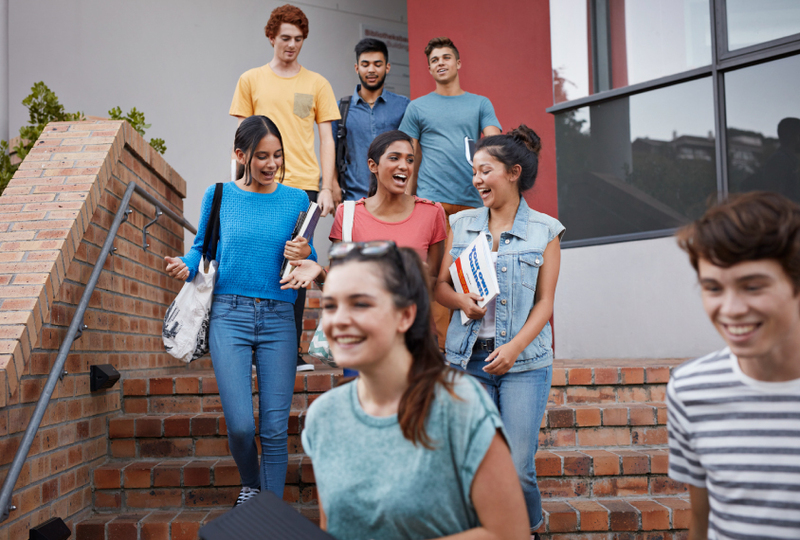 Individuals with Disabilities Education Act mandates that public schools begin helping students who have an Individualized Education Program plan their next steps, such as attending college or living independently, by the time they turn 16. “Literally just getting an estimate on [whether this is] even happening will be, I think, one of the headline findings of this new sample,” says Matthew Lerner, associate professor of psychology and psychiatry at Stony Brook University in New York. Researchers could also scan the teenagers’ records for details about their social skills and challenges, because relationship dynamics become more complex in adolescence, Lerner says. “If you’re struggling in those areas, almost invariably it will cascade into both academic and mental health problems,” he says. The work may also reveal whether some of those who were initially flagged for autism but didn’t meet full criteria for the condition received diagnoses later on. “Would [those children] happen to get picked up if you gave them a few more years?” Maenner says. The project may answer that question, he says. A real strength of the new effort, experts say, is that it will enable researchers to explore autism in adolescence at the population level. “This is really a snapshot of what’s happening in the world,” Maenner says. For example, Lord has reams of longitudinal data from more than 100 autistic young adults whom she has followed since they were 2 years old. But this is a small sample, Lord says. “We can say in this particular group this is what we think happens, but we absolutely need information from other groups,” she says. Researchers may also be able to link the CDC’s dataset with others and search for interesting trends, Pelphrey says. For instance, analyzing the adolescents’ data alongside large banks of genetic information could yield insight into possible gene-environment mechanisms. Applications for the funds are due today, and funded studies are expected to start in 2019.